Conrad Humphreys advises clients such as UBS, Microsoft, Pfizer and BT, in all areas of sports marketing, from sponsorship to employee engagement. Conrad is renowned for creating innovative, integrated campaigns for brands and rights holders. Inspiring Leadership: Staying Afloat in Turbulent Times, is Conrad’s ground-breaking book based upon the invaluable leadership lessons he learned from being the youngest skipper in history to win the World’s Toughest Yacht Race. Conrad competed as the youngest entrant in the Whitbread Round the World Yacht Race (now the Volvo Ocean Race). As skipper, he led his team to victory in the BT Global Challenge by dominating the race and winning 4 out of 7 legs. 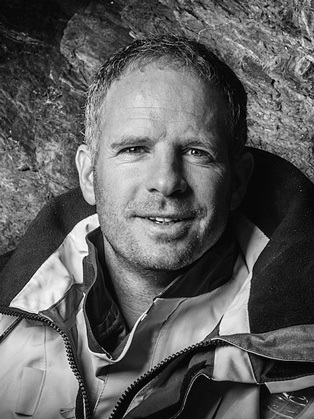 Conrad became the fifth British yachtsman in history to complete the legendary Vendee Globe, single-handed, non-stop around the world. Most recently, Conrad was the professional skipper onboard the tiny 23ft open boat, Bounty’s End in the recreation of Captain Bligh’s epic story of survival, Mutiny on the Bounty for Channel 4. Their mission: to survive and safely navigate across 4000 miles of open ocean to Kupang, Timor and recreate one of the world’s greatest open boat voyages of British history. Using traditional navigation equipment and surviving off the same meagre rations as Bligh, nine men were cast adrift 35 miles to the south of Tofua near the Kingdom of Tonga in a replica boat.